Search engines like Google are now taking into account the amount and the quality of social media mentions a company is getting. They are now using this as one of the factors for search engine rankings which is something companies need to be aware of. 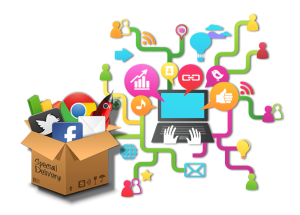 A good strategy to enhance your online presence is to implement social media networks into your online marketing campaign. Using networks such as Facebook, Google +, Twitter, YouTube and LinkedIn etc. are very effective marketing channels that can reap your business great rewards. Funky Fig will work with you and make sure your social media networks are developed properly in order for your business to grow through the use of social media. Help you develop a social media campaign that is successful. Look at your key objectives and carefully implement these in order for you to properly engage with customers allowing you to make the most from the marketing opportunities social media provides. Set up, customise, (branding) and optimise your social media channels. Social media do`s and don`ts. Choose the correct social media channels for your business. Advice on what content that is put online, helping you to increase sales and brand awareness. Monitor channel usage and conversion rates. Social media isn`t a fad and is here to stay. Companies need to realise this and make a move towards developing a social media strategy. It is imperative that your company keeps up to speed with the constantly evolving digital technologies and the benefits they will bring to your business. 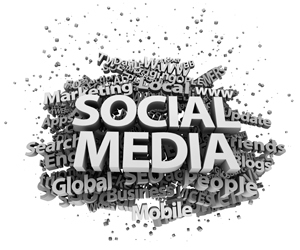 To find out how we can help you with your social media strategy please contact us.